Families and Life in Mackay, Texas, 1920s Vintage Images. "The picture of the woman in white is my mother, Manuela "Meme" Ramirez Hernandez in 1925 as a member of one of the civic organizations, the Blue Cross, very much a part of Mackay." 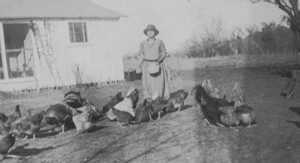 "My maternal grandmother, Martina Mendez Ramirez feeding her chickens, July 7, 1925"
"The Ramirez family home in Mackay. It is typical of the homes provided the farm hands by A.P. Borden. Most of the tenants had beautiful flowers and shrubs planted around their homes in addition to well tended vegetable gardens." 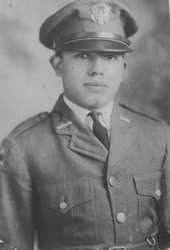 Guadalupe M. Ramirez as a Texas A & M cadet in 1927. 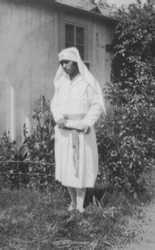 He is a maternal uncle who was sponsored to A & M by A. P. and Marie Borden. 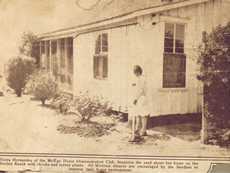 Following graduation in 1928, "Lupe" returned to Mackay as an elementary school teacher. "The picture of the flood in the 1930s was taken by my uncle, Guadalupe Ramirez, as he stood on US 59 looking east. To the left is the Company Store and to the right is the warehouse and some of the school buildings and teachers' homes. I think this is the warehouse photographed by Ken Rudine." 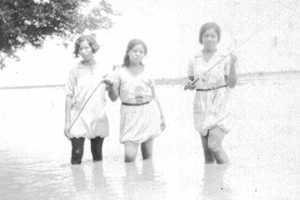 "The Ramirez Girls in the circa 1930 flood are my Mom's sisters, Inez, Isabel, and Maria." 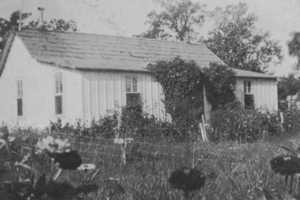 "The Ramirez Homestead, 1936, is my maternal grandparents home in Mackay along the the Bosque Slough or Creek." "The man and the Model A (or is it a Model T?) 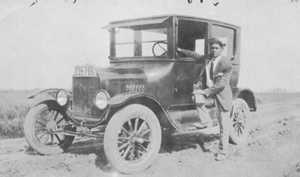 is a paternal uncle, Rafael Hernandez, driving along the main road in Mackay, 1926. Rafael also worked in the Borden Manor House and as a chauffer." The School Yard. 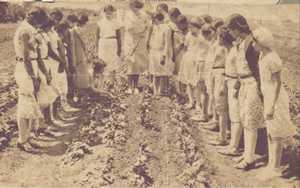 - "My paternal uncle, Miguel Hernandez, in the forground, with teacher Irene Bennett on the right. The teacher on the left is unidentified, but the other boy is a maternal uncle, Pepe Ramirez. Miguel went on to work for the Bordens as a butler and chauffer. Irene Bennett was from either Taft or Refugio." "Elvira Hernandez of the Mackay Home Demonstration Club, improves the yard about her home on the Borden Ranch with shrubs and screen plants. All Mexican tenants are encouraged by the Bordens to improve their home environment." - News clipping. 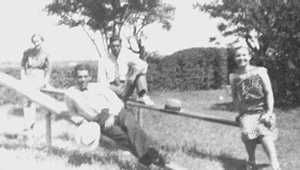 "Ramirez family members on a picnic in Mackay enjoying delicious watermelons that were grown on the rich fertile black soil of Mackay. 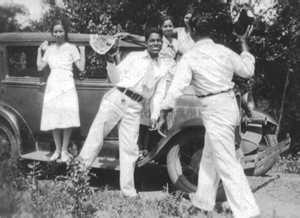 From left, Isabel Ramirez, her brother, Pepe, sisters Inez and Rosa, and brother-in-law, Trinidad Morales."